Arrival at Delhi. Welcome at the airport and transfer to hotel. In the morning city tour of Old Delhi visiting Jama Masjid, Chandhi Chowk, Red Fort and Rajghat. Afternoon tour of New Delhi. 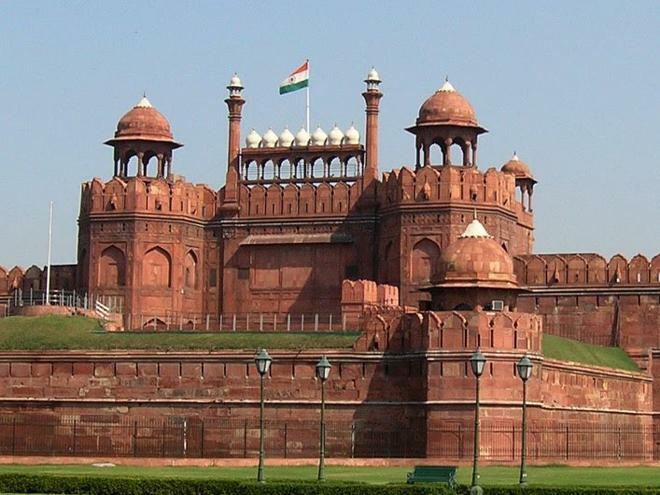 Visit President House, Parliament, Qutab Minar, India Gate, Birla Temple and Humayuns Tomb. Overnight stay at hotel. 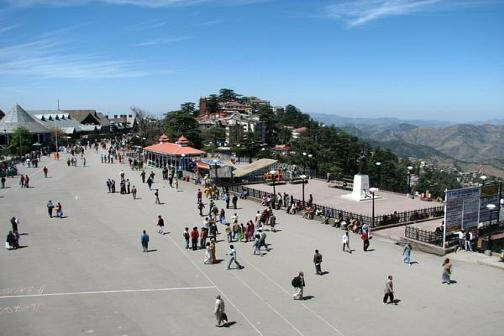 Morning drive to Shimla, former summer Capital of British India and now a capital of Himachal Pradesh, set amidst the snow capped shivalik mountain ranges offering some stunning views of the mighty Himalayas. Arrival at Shimla and check in at Hotel. Rest of the day is at leisure. Overnight stay. Morning leave for Sarahan, beginning of the adventure, full day drive via Narkanda and Rampur and reach Sarahan which commands a view of Srikhan Mahadev Peak. 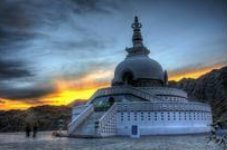 Here, you will find a mixture of Hindus and Buddhist architecture and visit ancient temple of Bhimakali. Overnight stay at hotel/tents. Morning leave for Sangla in Baspa valley which is the prettiest valley in Himachal Pradesh. 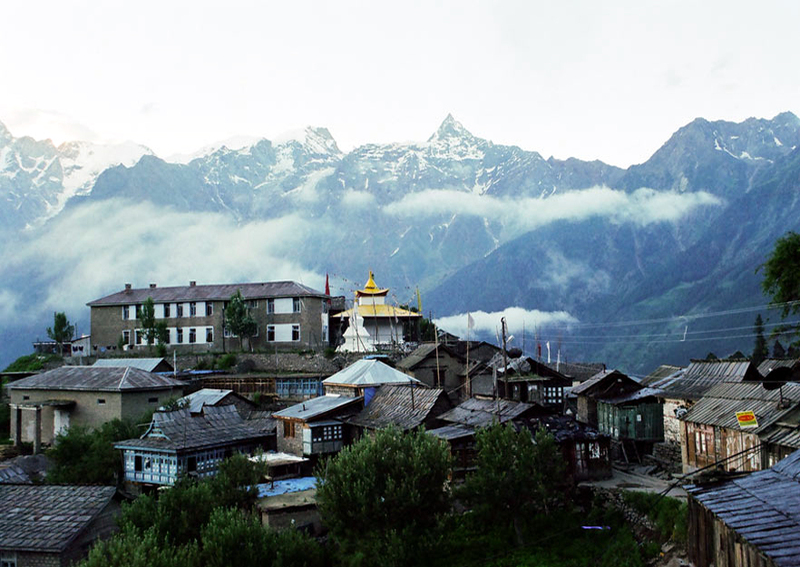 Drive via Karchham and reach Sangla, built on a slope with the houses rising one above the other with Gigantic Kinnar Kailash peak dominating the scene. Overnight in camps. Drive from Sangla to Kalpa (2759 Mtrs) which is the district headquarter of Kinnaur, once a favourite haunt of Lord Dalhousie. 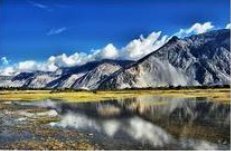 In front of Kalpa, you can have an impressive view of Raldang Kailash massif across the Sutlej river. Overnight in Camps. Morning departure for Tabo (3050 Mtrs). 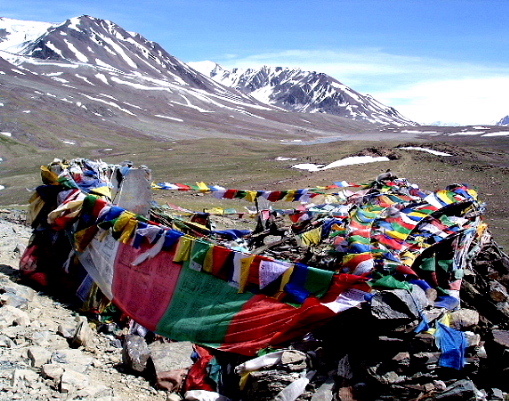 It is the seat of the most famous Buddhist monastery regarded next to the Tholong Gompa in Tibet. 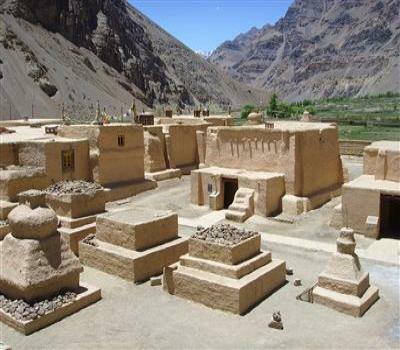 The monastery contains large number of scriptures and pieces of art, wall painting and Stucco. It is also known as Ajanta of Himalayas. Overnight in tents. 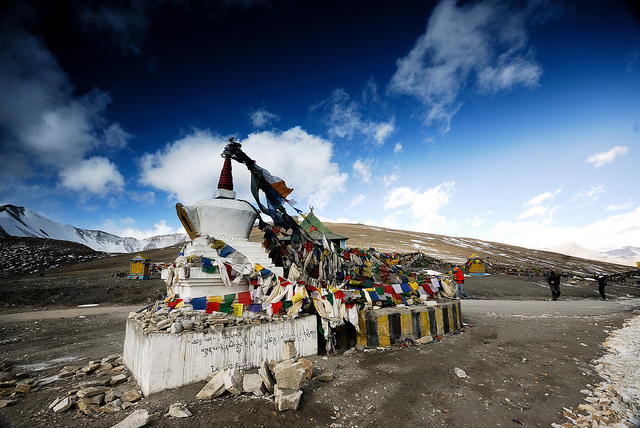 Leave Tabo for Kaza and en route visit Dankar Gompa. 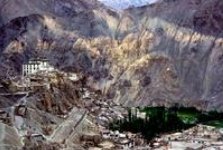 Continue drive to Kaza (3600 Mtrs) Kaza is situated at the foot of steep ridges and on the left bank of river Spiti. 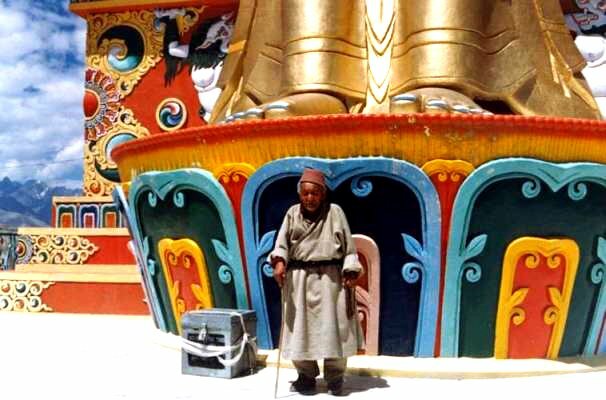 in the Afternoon visit Ki Monastery which is the oldest and biggest Monastery in Spiti. 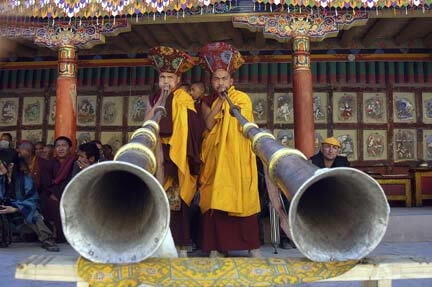 Hundreds of Lamas receive their religious training in this monastery and it is also famous for its murals and books. Overnight in tents. Drive from Kaza to Kunzumla pass (4590 Mts), highest pass on Spiti Lahaul road. The lofty Shigri Glacier is seen in front in all its grandeur. Then drive to Khokhsar. Finally reach Keylong, the capital of Lahaul and Spiti. Visit the town. Overnight stay at Hotel/tents. Morning driver to Manali, en route visiting Rohtang pass (3978 Mtrs). Here, one sees the majesty of the mountains at its height and splendour. 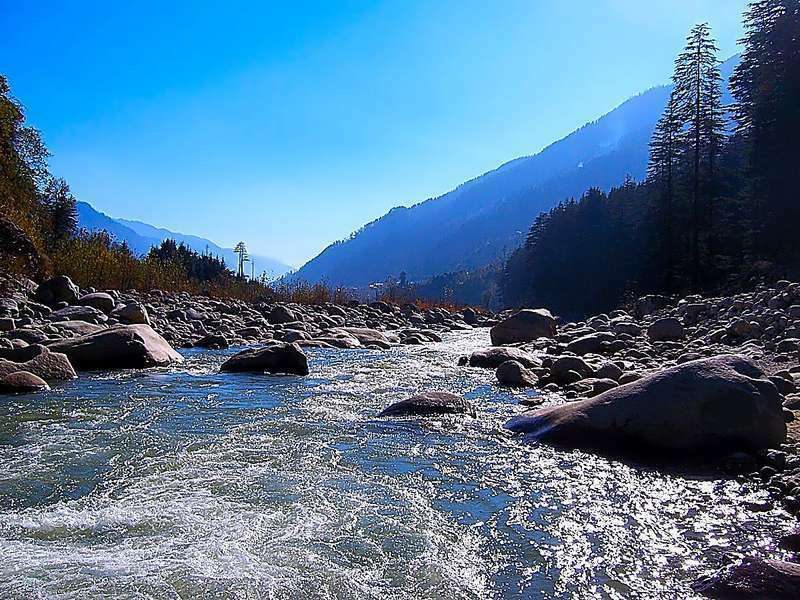 Then you dip into Manali region and another 51 Kms drive will take you to Manali. Overnight stay at Hotel. 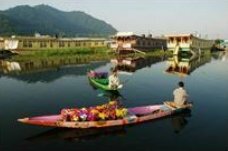 Morning visit Manali which is circled by beautiful glades of deodars and flowering horse chestnuts. Visit Hadimba Temple, a four-story wooden temple is located in the middle of a forest. Afternoon visit Naggar (1760 m). It is located on a wooded slope and commands an extensive view. It was the capital of erstwhile Kulu state for about 1400 years. Overnight stay at hotel. Morning transfer to Bhuntar airport to catch flight for Delhi. Arrival at Delhi and transfer to hotel. Rest of the day is free for shopping or other independent activities. Overnight stay. Morning transfer to airport to catch flight for onward destination.